It seemed like only a matter of time, but Dean Wilson is back on the Rockstar Energy Husqvarna Factory Racing Team. He started the year as a privateer riding a Husqvarna. Dean Wilson will finish out the 2019 AMA Supercross Series on the Rockstar Energy Husqvarna Factory Racing Team. The team has been without a 450SX rider ever since defending champ Jason Anderson got hurt before the Oakland Supercross. The team’s other rider, Zach Osborne, was already out with a broken collarbone, but he’ll make his return this weekend in Minnesota. Wilson, however, will fill in for Anderson for the rest of the supercross season. 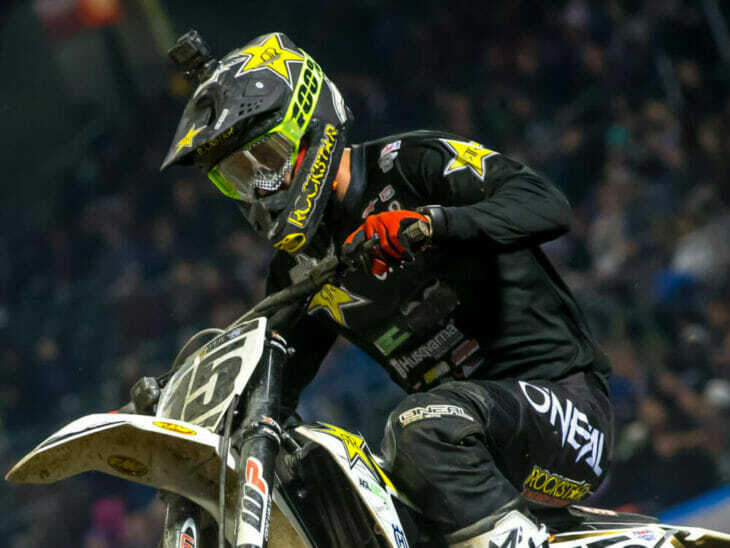 Wilson is currently fifth in the 2019 Monster Energy AMA Supercross Championship.